After being suspended from the team in pending inquiry, BCCI acting President CK Khanna has put his foot down in Hardik Pandya and KL Rahul's matter and has allowed them to join the team for New Zealand tour. "I suggest that pending inquiry, we reinstate both the cricketers in the Indian squad immediately and allow them to join the team in New Zealand at the earliest," Khanna wrote in a mail to the Supreme Court-appointed committee of administrators (CoA) and the BCCI office-bearers. 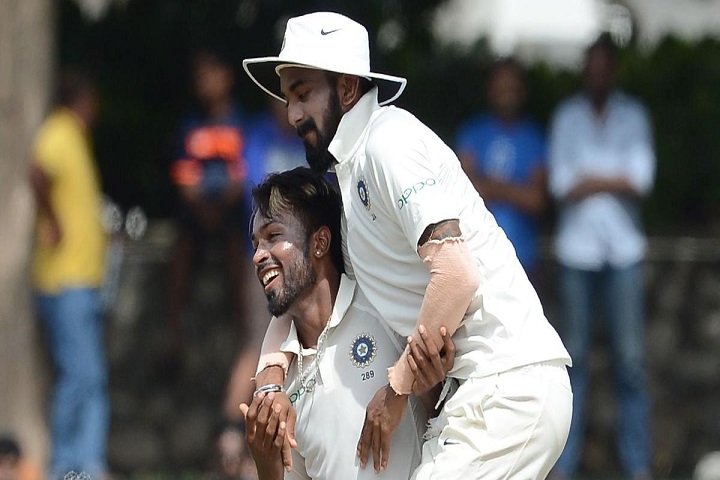 Hardik Pandya and KL Rahul made a crass comment in an Indian talk show 'Koffee with Karan' and therefore, they were suspended from the Australia and New Zealand tour in the pending inquiry. However, the suspended duo demand an unconditional apology and hence, BCCI President believes that their career should not be kept in a limbo. "They made a mistake, and they have already been suspended and called back from the series against Australia. They have also submitted an unconditional apology. We must not keep their careers in limbo," Khanna added while urging for a meeting between CoA and BCCI office-bearers. Khanna also refused to call a special general meeting of the board, as demanded by some state units. "As per the constitution of the BCCI, an ombudsman can be appointed at the Annual General Meeting (AGM). But the matter (appointment of ombudsman) is already sub-judice," Khanna wrote, replying to BCCI treasurer Anirudh Chaudhry. Both the players are allowed to join the squad in New Zealand. The tour for five ODIs and three T20Is is set to begin from 23 January at McLean Park, Napier. The tour will start from ODIs first from 23 January and 3 February and later three T20Is will be played from 6 February to 10 February.